Mindfulness is the practice of paying attention to the present moment in the mind and body while maintaining an attitude of curiosity and kindness (UK Mindfulness AllParty Parliamentary Group). 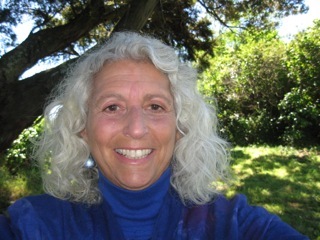 A Golden Bay resident, Judith Rothstein is a professional counsellor and a mindfulness meditation teacher. Sitting on an expansive foundation of knowledge, Judith has taught mindfulness overseas for 20 years and here in the Bay for the past three. The course Judith runs, Mindfulness in Everyday Life, is a series of six weekly classes including teaching, discussion and a 30-minute guided meditation. Multiple courses have already been held in Golden Bay and there is a solid community of those already familiar with mindfulness meditation. Judith reflected on an early teaching that has stayed with her over these years: “To be aware of what opens and closes the heart and nurture what opens it.” She feels that meditation is a beautiful practice for achieving that. by Tullia Wilson, Golden Bay Weekly, 3 February 2017 "New course of Mindfulness in Everyday Life"
Forty years ago, Judith Rothstein began a personal exploration into mindfulness, which has become her life practice. In the last year, Judith’s experience as a mindfulness teacher has extended to the development of a six-week course, ”Mindfulness in Everyday Life”. In 2014 she ran three courses, and the first of 2015 is currently underway. These courses have evolved into a continued “sitting group” of meditators who meet weekly and monthly. Mindfulness, which stems originally from traditional Buddhist practice, is a way of being that reduces stress and conflict, internally and externally. According to Judith, being mindfully present teaches us to shift our attention to our immediate experience, which changes our relationship to our thoughts and feelings, bringing greater openness and clarity in our ability to respond. This non-judgemental way of being increases our capacity to be more stable, more open and less reactive. Judith uses the expression “neurons that fire together wire together” to describe the process. Judith immigrated to Golden Bay eight years ago from Alaska, and opened her own private practice in Meihana Street, where she works with clients as a counsellor. She holds an MSc in Counselling Psychology. She has two grown children who live abroad. Community worker Glynn Rogers describes the practice of mindfulness as “paying attention on purpose”. Glynn took both Judith’s course and two-day silent retreat last year, and continues to meet monthly with the group. She feels a marked shift in her ability to cope with demands of her job. Artist, mother and co-owner of Paper Scissors Rock, Hannah Dorman, says she had no idea what mindfulness was when she started the course. “It gave me a time to focus inwardly,” she says, “to sit as an onlooker and quietly observe the journey my mind goes on, and allowing myself to go within and see patterned responses to situations that I was stuck in”. by Nina Hindmarsh, Golden Bay Weekly, 24 April 2015 "Everyday mindfulness offers tools for stress management"
The GB Weekly caught up with three of Golden Bay’s counsellors. They are part of a large group of diversely-skilled professionals sharing a common purpose; to lend an ear and assist people through difficult times in their lives. Judith Rothstein has been a counsellor since 1981 and holds an MSc in Counselling Psychology. She is a member of the NZ Association of Counsellors (NZAC) and provides supervision to mental health providers. Judith works with children, families, couples and individuals. Judith’s experience in the field includes counselling in relationships and conflicts, depression, anxiety and anger, grief, loss, life transitions and addictions. However it’s not about slotting into a category in order to seek help. Judith provides various therapeutic interventions including Cognitive Behavioural Therapy (CBT) and Presence-Centred Therapy. She is also skilled at translating complex-sounding therapies into plain english. She says that the things that stress us out are real and we often don’t have control over them. A counsellor can offer coping strategies specific to the individual and the perspective of seeing the whole person, guiding them to self-acceptance.